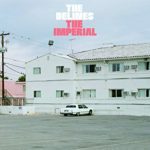 The old saw about having a lifetime to make your debut and twelve months to make the follow-up is a luxury that the Delines didn’t get to enjoy. Not because they were rushed back into the studio by a demanding record label, or suffered a lack of creative energy and desire to write and record a sophomore album. Instead, after touring their 2014 debut, Colfax, recording a summer single that organically blossomed into the extended EP, Scenic Sessions, and completing substantial work on their planned sophomore album, the band’s singer, Amy Boone (Damnations, TX) was struck by a car and sidelined by two broken legs. Now, multiple surgeries and three years after the interruption, they’ve completed an album whose deep, emotional atmosphere appears to have been infused by the collective doubt, hope, expectation and recovery that marked the waiting. 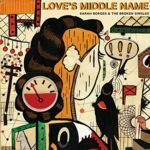 The album’s downbeat country soul bridges the 200 miles between Memphis and Nashville, with organ, horns and pedal steel each offering notes of solemnity and sadness. The spotlight, however, belongs to Boone’s intimate readings of Willy Vlautin’s extraordinary songs. Vlautin captures human moments whose revelations are often to be found deep inside a subtle emotion, thought or interaction. Boone renders these words with a quiet strength that is both introspective and outwardly aware of their profundity. Vlautin’s protagonists spin in downward spirals that might be infinite, if not for an encouraging whisper. The magnitude of emotional despair is shown in nearly imperceptible contrast with earlier times that were, if not exactly happy, less of a disaster. Born in Texas, and raised in Arkansas, William Orville “Lefty” Frizzell took in the seminal influences of Jimmie Rodgers, Ernest Tubb and others, and forged an original vocal style that impacted an entire generation of singers. His next-generation disciples included Merle Haggard, Willie Nelson, George Jones and Roy Orbison, and his influence continues to reverberate today through the works of Brennen Leigh and many others. His 1950 debut topped the charts with both “If You’ve Got the Money (I’ve Got the Time)” and its flip, “I Love You a Thousand Ways,” and the hits that followed stretched into early 1953. But Frizzell was a mercurial artist, firing his manager and band in 1952, joining and quitting the Grand Ole Opry, and moving to Los Angeles, where he joined the Town Hall Party. 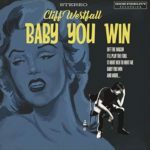 His 1954 single “I Love You Mostly” would be his last Top 20 hit for four years, and though he’d move to Nashville and regain the top slot with 1964’s “Saginaw Michigan,” his health and success steadily declined until his death at the age of 47 in 1975. 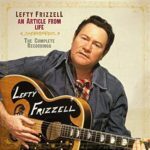 Bear Family has pulled out all the stops to honor Frizzell’s legendary career, gathering 361 tracks on 20 CDs, including all of his singles (45s and 78s) and albums, demos and session material, and a wealth of newly discovered material. The discs are packaged in double digipaks, which are themselves housed in a 12-½” x 12-½” x 3” box that includes a massive 264-page hardcover book. This box set represents the third iteration of Bear Family’s archival work on Frizzell, having previously issued the 14-LP set His Life, His Music in 1984, and the updated 12-CD set Life’s Like Poetry in 1992. This is a superset of both earlier releases, and though a few scraps might still be hiding in a dusty vault, this is likely to be the definitive statement on Frizzell’s recording career. In addition to complete coverage of his 25-years of commercial releases, the demos, private recordings, radio airchecks and U.S. military program transcriptions stretch back into the 1940s. The set’s final eight discs feature Frizzell’s younger brother David reading his biography I Love You a Thousand Ways. Discs 1 through 9 repeat the same commercial material as was originally offered on Life’s Like Poetry. Discs 10-12 include demos, radio airchecks and transcriptions that provide a rich picture of the artist in development. These latter recordings vary in quality, and some of the earliest material is rough in spots, but Frizzell’s voice always manages to emerge from the surface noise of acetates and metal parts. New to this box are two dozen full and partial demos and non-session recordings, including late-40s covers of Ernest Tubb (“I’ll Always Be Glad to Take You Back” and “I’ll Always Be Glad to Take You Back”), Jimmie Rodgers (“My Old Pal of Yesterday,” “Jimmie the Kid” and “California Blues”), Ernest Tubb (“Mean Mama Blues”), Hank Williams (“I’m a Long Gone Daddy,” “Last Night I Heard You Crying in Your Sleep” and “There’ll Be No Teardrops Tonight”), and 1950 band recordings of Frizzell originals “If You’re Ever Lonely Darling,” “I Love You A Thousand Ways” and “Lost Love Blues.” Of particular interest among the new tracks are three solo acoustic takes of “I Won’t Be Good For Nothin’” that show how Frizzell developed his approach to the song. You may have never heard country-soul singer-songwriter Jim Ford, but you’ve likely heard his songs, and you’ve certainly heard his fans. Ford co-wrote P.J. Proby’s hit single “Niki Hoeky,” an album for the Temptations, and songs recorded by Bobby Womack, Aretha Franklin, Bobbie Gentry, Dave Edmunds and Nick Lowe. The latter named Ford as his biggest musical influence, and recorded Ford’s songs with his pub rock group Brinsley Schwarz and as a solo act. 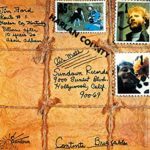 This 1969 debut was the only full-length release of Ford’s lifetime, which also included singles, unreleased albums for Capitol and Paramount, and a wealth of session tracks that slowly found their way out of the tape vault. Oddly, for an album by a songwriter, half the selections are covers, including Stevie Wonder’s “I Wanna Make Her Love Me,” a swamp-boogie take on Willie Dixon’s “Spoonful,” and a vocally strained rendition of Alex Harvey’s “To Make My Life Beautiful.” Ford’s originals include the broken hearted road metaphors of “Under Construction,” the emotionally satisfied “Love on My Brain” and the not-too-subtle drug references of “Dr. Handy’s Dandy Candy.” None of this made an impression on radio programmers or record buyers, and the album quickly disappeared. Ford eventually made his way to England where sessions with Brinsley Schwarz and the Grease Band failed to generate releases, and additional masters recorded for Paramount were shelved. Don Rich’s death in a 1974 motorcycle accident had a well-documented impact on Buck Owens. With his musical drive in neutral, his chart success declining and his Capitol contract expiring, Owens departed his longtime label, recorded a pair of albums for Warner Brothers and faded into a musical hiatus. 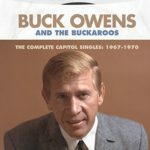 Lost in the shuffle was this final album Owens recorded in 1975 for Capitol at his Bakersfield studio. 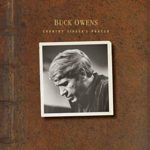 Two singles – “The Battle of New Orleans” and “Country Singer’s Prayer” – were released to little chart action, and anthologized on the album that turned out to be Owens’ last Capitol release, The Best of Buck Owens, Vol. 6. The remaining tracks, shelved for more than forty years, are released here in their original running order, from the master tapes, for the first time. 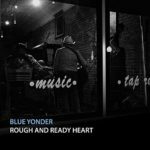 Both singles and their B-sides are included alongside liner notes by Scott B. Bomar and new interviews with Buckaroo Jim Shaw, and songwriters Robert John Jones and Dennis Knutson. The album opens with Homer Joy’s New Orleans-tinged “John Law.” Joy played an important role in Owens’ career as the writer of his comeback vehicle “Streets of Bakersfield,” and here he writes a tale of a colorful night in a county jail. The song’s opening lyric tips its hat to Don Rich, who plays guitar on this 1973 track. By this point in Owens’ career, he wasn’t writing much, but he collected good material from RJ Jones, Jim Shaw, David Knutson and David Frizzell. Though still grieving the loss of Don Rich, he puts on a brave face for a few up-tempo numbers, but really digs into the sad songs of cheating spouses, lost souls and fraying relationships. The title track’s reminiscence, written by Jim Shaw and RJ Jones, proved dear to Owens as he thought back on the road traveled with Rich and the Buckaroos, and “A Different Kind of Sad,” again by RJ Jones, could easily have been written for Owens about Rich. For a songwriter of Willie Nelson’s stature, it’s surprising that his early ‘60s Nashville demos have received so little attention. A few slipped out on compilations and bootlegs, but it wasn’t until 2003 that Sugar Hill pulled together fifteen for Crazy: The Demo Sessions. And it was thirteen more years until Sony expanded the catalog with two volumes of digital downloads on The Demo Project. Real Gone now collects the latter two volumes into physical CD and LP releases, augmenting the twenty-eight tracks with liner notes by Colin Escott, and photos from the archives of Bear Family founder Richard Weize. As with the previous releases, the recordings are clean and compelling, and with only partial overlap of the 2003 Sugar Hill disc, this is an essential addition to any Willie Nelson fan’s collection. 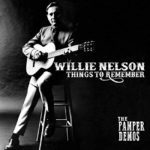 Nelson signed a publishing deal with Pamper Music in 1960 and commenced to churning out songs and demos with his guitar and in off-hour sessions with Nashville A-listers. The material includes many of his most iconic compositions – “Crazy,” “Funny (How Time Slips Away),” “Hello Walls,” “Night Life,” “Pretty Paper” – first turned into hits by Patsy Cline, Faron Young, Ray Price, Roy Orbison and others. But also heard here are the initial takes on songs that would populate Nelson’s early albums for Liberty and RCA, and fully flower in the years after he’d shucked off Nashville’s stylistic straightjacket. His idiosyncratic vocal phrasing had yet to fully form, but you can hear its roots here, and the sophistication of his songwriting was already steps ahead of the Nashville mainstream. The band tracks are two-steps and shuffles, and though Nelson sings straight to the beat, his voice, melodies and lyrics are distinctive. The violence of “I Just Can’t Let You Say Goodbye” probably wouldn’t be released as a single today, but Nelson actually had middling success cutting it for RCA in 1965. The low strings on “Little Things” sound like Nelson’s guitar playing, though they don’t have the tone of Trigger, and the walking bass line of “I’m Gonna Lose a Lot of Teardrops” and the acoustic blues guitar and fingersnaps of “Night Life” offer changes of pace. Nelson turned out numerous songs of romantic dissolution, each colored with a unique shade of self-pity, anger or remorse, and “I Gotta Get Drunk” sounds like something Hank Williams might have written had he lived into the 1960s. Native Kentuckian Cliff Westfall’s country songs harken back to the clever and funny writing of Roger Miller and Tom T. Hall. And though he’s relocated to New York City, he’s recruited like-minded country music players as his backing band, ensuring there’s plenty of twang behind his humor and wordplay. Westfall lists Chuck Berry as his favorite songwriter, and he exhibits the same sort of attention to detail in his lyrics, choosing his words in parallel service of story, meter and rhyme. The album opens with the honkytonk of “It Hurts Her to Hurt Me,” as Westfall tends to his romantic wounds with a self-delusional salve. He’s a relationship pragmatist, staring past criticism, content to be Mr. Right Now until Mr. Right comes along and he’s pushed out of the picture. The chugging “Off the Wagon” surveys a dysfunctional relationship whose blurry attraction wears off along with the booze and pills, and runs out with a lengthy, twangy instrumental. Omnivore’s previous set on Owens’ groundbreaking Capitol singles is now joined by a companion volume that catalogs his expanding reach as an artist. The commercial dominance of his initial rise to fame – which included twenty-two Top 40 hits and thirteen consecutive chart toppers – was unlikely to be matched, and yet this second collection rises to the occasion, both commercially and artistically. Of the eighteen singles Owens released across these four years, all but two made the Top 20; of the two misses, “Christmas Shopping” charted #5 on the holiday list, and only the internationally-themed instrumental “Things I Saw Happening at the Fountain on the Plaza When I Was Visiting Rome or Amore” missed entirely. Fifteen of the A-sides reached the Top 10, and six topped the country chart. More importantly, the late ‘60s found Owens branching out from twangy Bakersfield country with innovative pop touches. He opened 1967 with the back-to-back #1s “Sam’s Place” and “Your Tender Loving Care,” dipped to #2 with “It Takes People Like You (To Make People Like Me),” and climbed back to the top with 1968’s “How Long Will My Baby Be Gone.” He scored three more chart toppers in 1969 (the originals “Who’s Gonna Mow Your Grass” and “Tall Dark Stranger,” and a cover of Chuck Berry’s “Johnny B. Goode”), and just missed the top spot with 1970’s “The Kansas City Song.” Owens joined Hee-Haw in 1969 and continued to chart throughout the 1970s, but with the passing of Don Rich in 1974, his interest in a music career quickly declined. After a pair of albums and a handful of mid-charting singles for Warner Brothers he basically retired from releasing music for more than a decade. 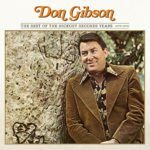 Gibson is remarkably consistent as he brings soul to Joe South’s “Games People Play,” heartbreak to Bobby Bond’s “If You’re Goin’ Girl,” and compelling blues to Grady Martin’s “Snap Your Fingers” and Mickey Newbury’s “If You Ever Get to Houston (Look Me Down).” Producer Wesley Rose cannily framed Gibson’s voice in a number of different ways, without losing his identify as a singer or his connection to country music. Rose’s sound wasn’t as clean as that produced by Chet Atkins at RCA, but neither was it tained with the badly aging affectations of many 1970s sessions. The guitar and steel players, uncredited here, add terrific stutter and twang on many of the tracks.